Intel has been talking about shrinking the socketed motherboard since last year, and now we’re seeing the first full Windows 10 PCs to sport the new mini-STX technology. Those honors go to MSI and its Cubi 2 Plus desktop range, which starts shipping early next month. ASRock also announced bare-bones mini-STX systems last month, but hasn’t started shipping them yet. For Intel, mini-STX is meant to fill the gap between the company’s teeny Intel NUC-based desktops and larger PCs that use Intel’s mini-ITX socketed motherboards. The new form factor is much closer to NUCs in size, but retains mini-ITX’s ability to upgrade the processor and accommodate a standard desktop CPU fan. mini-ITX still has the advantage of supporting dedicated graphics cards, however. The Cubi 2 Plus, for instance, measures just 6.1 x 5.8 x 2.3 inches. That’s only about an inch and a half longer and deeper than Intel’s larger NUC kits, while a small mini-ITX enclosure can easily be twice as large. Other specs include two DDR4 memory slots for up to 32GB of RAM, one M.2 SATA slot for up to 256GB of solid state storage, one 2.5-inch slot for another HDD or SSD up to 1TB, and 802.11ac Wi-Fi. 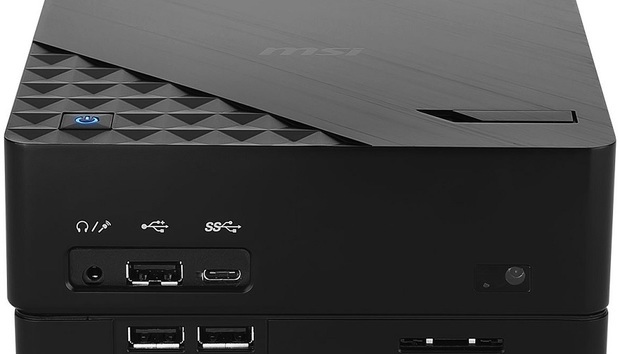 MSI is also throwing in a USB Type-C port in the front, along with three USB 2.0 front ports, two USB 3.1 rear ports, a top USB 2.0 port with super charging, HDMI, audio jack, ethernet, DisplayPort out, and an SD card reader. There’s no word yet on pricing. The impact on you: If you like the idea of a small desktop PC, but aren’t quite satisfied with the performance that NUC kits allow, mini-STX PCs might be the perfect match. We’ll likely see a lot more of these coming down the pipe before long, especially as interest in living room PC gaming ramps up. If Craig Wright did create Bitcoin, what next?